The same foods, organic or not, may be perfectly nutritional for you but not for your neighbor. After just a single bite, some people develop severe reactions to foods. These reactions involve the immune system and specifically the allergenic antibody IgE. Symptoms may present in the digestive system, on the skin (hives); as swelling of the airways, or even loss of consciousness in the case of anaphylactic reaction. Up to 30% of people think that they have food allergies; however, some 8% of children and 4% of adults suffer from true IgE-dependent food allergies. Others may have immunological reactions (IgG and IgA dependent), like Celiac disease or an enzyme deficiency (such as lactose or fructose), or food intolerance. These are both matters of concern, but unlikely life-threatening reactions. Symptoms of food allergies can involve almost any organ in the body, and different foods may trigger different symptoms in the same individual. Children typically develop eczema, abdominal pain, diarrhea, constipation, and reflux, which is associated with ear inflammation. Over time, untreated food allergies leading to the aforementioned symptoms may result in poor growth, irritability, and sleep disturbance. In adults, symptoms may include hives, swelling of the lips or tongue, itching of the throat, eczema, nasal congestion and drainage, as well as shortness of breath and wheezing. In addition, abdominal pain, nausea, diarrhea, dizziness and fainting, and migraine headaches are common. Some people develop shock with light-headedness and loss of consciousness. Reactions that develop soon after exposure to allergenic food tend to be more dramatic. Allergenic food typically triggers an allergic reaction in many food allergic individuals. However, some people might eat food to which they are allergic without noticing any symptoms. Some people may tolerate melons in the spring, but not in the fall, as melons share allergens with ragweed pollen, which is predominate in the fall. Other people may enjoy apples in the fall, but not in the spring, as birch pollen (prominent in the spring) cross reacts with apple allergens. Cooking food may make it less allergenic, but not always. Also, exercising prior to eating may precipitate itching and hives and even anaphylaxis (so-called exercise-induced food allergy) in some people. Your risk of food allergies is high when you have hay fever or asthma. In addition, if a family member has food allergies, you are also more likely to have food allergies. Food allergies decrease with age, so many infants or toddlers lose allergic reactions to milk, soy, eggs, or wheat. Unfortunately, allergies to tree nuts, peanuts and shellfish are likely to be persistent for life. Anyone with a persistent reaction to foods should seek medical attention, and especially those who experience an anaphylactic reaction. Your allergy doctor will note a careful history of your reaction and the progression of your symptoms. Medical examination should reveal which organ system is involved. Your doctor will order a battery of tests, including skin tests for foods and, less commonly, blood tests. Further testing may involve a challenge test with the suspected food. A battery of blood tests may also be needed to assess other undetected medical conditions. Finally, you may be referred to a gastroenterologist. The primary treatment for food allergies is avoidance of the offending foods, so proper identification and risk assessment is very important. Individuals with anaphylactic reactions (a loss of consciousness or swelling of the throat) will receive a self-injectable epinephrine kit prescription. For children or mentally impaired individuals, when avoidance (for example of peanuts) is almost impossible and the use of epinephrine is very difficult, they may undergo desensitization. Desensitization is a procedure that takes approximately 4-6 hours and effectively diminishes the chance of anaphylaxis. However, desensitizing an individual will require daily intake of a small amount of the offending food (like peanuts). We anticipate the approval of anti IgE antibody (Xolair) for treatment of severe food allergies by the FDA in the not so distant future. Xolair has been shown in a number of research studies to effectively diminish the chances of anaphylaxis to a variety of foods. Other medications, such as antihistamines, steroids, and leukotriene inhibitors, have only limited value in attenuating symptoms. Getting knowledgeable about your adverse reactions to foods will make healthy food truly good for your health. Marek M. Pienkowski, M.D., Ph.D. was educated in clinical immunology at Johns Hopkins School of Medicine in Baltimore and internal medicine at Henry Ford Hospital in Detroit. Dr. Pienkowski has been serving patients in East Tennessee with allergies, asthma and immunological disorders for nearly 30 years through Allergic Diseases, Asthma & Immunology Clinic, P.C.. Active both in biomedical research and academia, he has published more than sixty scientific papers as well as two books. When I sat down to put this article together, and thought about all of the issues that encompass child safety, I immediately thought about my own 11 year-old daughter. As a father, I believe it is my responsibility to ensure that she is safe, both physically and emotionally. The Knox County Schools continues to prepare for a successful 2013-14 school year, and we are excited about several initiatives that will take shape in our schools this year. Technology plays a major role in our global society, and our schools are preparing to integrate technology like never before. Through the School Technology Challenge, administrators and teachers in 11 schools are spending the summer learning more about instructional technology to expand the walls of the classroom and create opportunities to learn in new and different ways. By embracing this kind of 1:1 technology initiative (one technology device for each one student and each one teacher), we can fully leverage the creativity and expertise within our schools, build capacity for future expansion and demonstrate success in schools across our community. With this initiative, parents, teachers, stakeholders and taxpayers will be able to see how instructional technology is enhancing education right in their own neighborhoods. The start of the school year also means full implementation of the Common Core State Standards. Tennessee has joined 44 states across the country in adopting Common Core, a set of standards that will provide students with a deeper understanding of academic content and greater skills in connecting and applying knowledge so that they are better prepared for college and career. All students must now be prepared to compete not only with their peers in neighboring communities but also with students from across the country and around the world. I invite you to learn more about these and other initiatives by visiting our website at knoxschools.org, or please feel free to call our office at (865) 594-1800 if we can assist you. Finally, as summer winds down please remember to encourage your child to read. Reading keeps the mind engaged and helps your child be ready to learn on August 12, the official start of classes in the Knox County Schools. 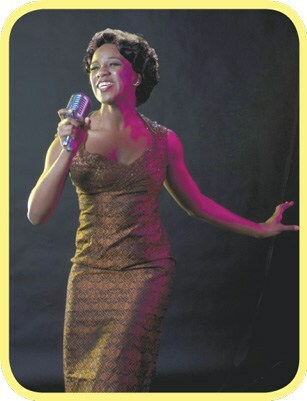 Get ready for a season of Broadway hits at the Tennessee Theatre! The stage is set for another year of Broadway in Knoxville as the Tennessee Theatre announces the 2013-2014 Broadway at the Tennessee Theatre season featuring the Knoxville premiere of JERSEY BOYS, one of Broadway’s biggest blockbusters and winner of the 2006 Tony Award® for Best Musical. The Broadway at the Tennessee series has continued to flourish each year by bringing premier titles to Knoxville — and the 2013-2014 season is no exception. This season consists of Disney classics, Tony Award® winning favorites and breathtaking, contemporary pieces. 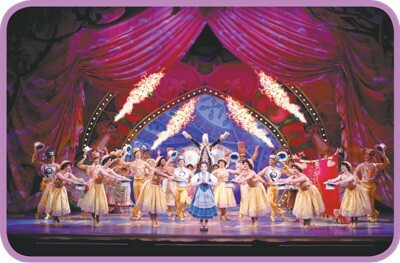 DISNEY’S BEAUTY AND THE BEAST, September 30 & October 1, 2013. A tale as old as time, DISNEY’S BEAUTY AND THE BEAST returns by popular demand and marks the start of the 2013-2014 season as the romantic, Broadway musical for every generation. Based on the Academy Award-winning animated feature film, this eye-popping spectacle and classic musical love story is filled with unforgettable characters, lavish sets and costumes, and dazzling production numbers including “Be Our Guest” and the beloved title song. 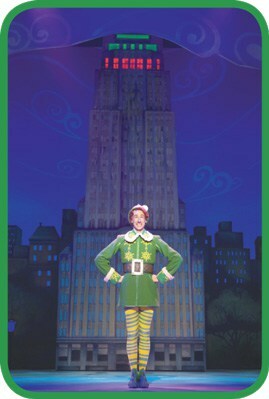 ELF THE MUSICAL, November 16 & 17, 2013. Next up in the series is ELF THE MUSICAL, the modern day Christmas classic that is sure to make everyone embrace their inner ELF as it follows the tale of everyone’s favorite elf – Buddy! Followed by ELF will be MEMPHIS, a musical that turns up that dial and channels the underground dance clubs of 1950’s Memphis, Tennessee as it follows the story of a radio DJ who wants to change the world and a club singer who is ready for her big break. MEMPHIS, December 6 & 7, 2013. January will bring the thrilling musical MILLION DOLLAR QUARTET, which gives an inside look at the famed recording session that brought together rock and roll icons Elvis Presley, Johnny Cash, Jerry Lee Lewis and Carl Perkins. In March we’ll see what all the noise is about, as the explosive, innovative, witty and utterly unique STOMP explodes back on to the Tennessee Theatre stage for a return performance. 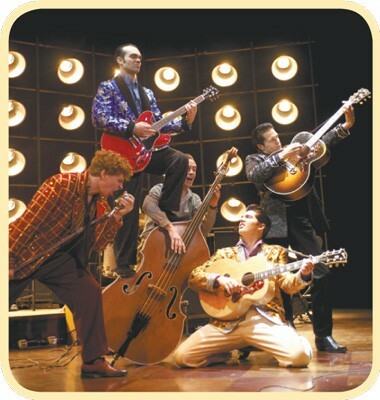 MILLION DOLLAR QUARTET, January 24 & 25, 2014. 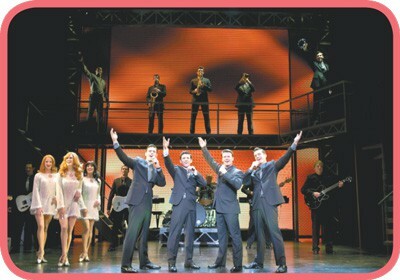 The Broadway at the Tennessee 2013-2014 season will close in the most sensational way with JERSEY BOYS. “TOO GOOD TO BE TRUE!” raves the New York Post for JERSEY BOYS, the 2006 Tony Award®-winning Best Musical about Rock and Roll Hall of Famers The Four Seasons: Frankie Valli, Bob Gaudio, Tommy DeVito and Nick Massi. It is the story of how four blue-collar kids became one of the greatest successes in pop music history and features electrifying performances of the hits that took them all the way to the Rock and Roll Hall of Fame: “Sherry,” “Big Girls Don’t Cry,” “Rag Doll,” “Oh What a Night,” “Can’t Take My Eyes Off You” and more. 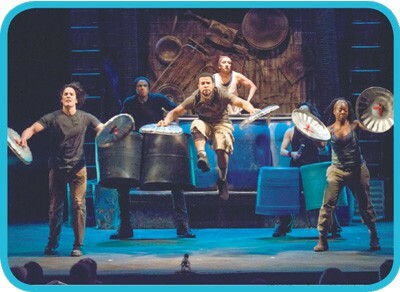 STOMP, March 7 & 8, 2014. Subscription packages for the series are on sale now! Two packages with 4, 5, and 6 show options are available with up to a 10% discount. Subscriptions purchased via the Tennessee Theatre box office receive reduced service fees, guaranteed same seats for each performance, and free same-show ticket exchanges. Call the box office at 865-684-1200, extension 2 or visit in person on Clinch Avenue. JERSEY BOYS, April 29-May 4, 2014. At the box office patrons can also learn more about the Spotlight Club. The Broadway Spotlight Club is a one of a kind VIP Broadway opportunity where you can meet cast members, mingle with other loyal lovers of Broadway, enjoy great food and drink, and make your evening at the Tennessee Theatre all the more unique. Perfect for cultivating a young new Broadway fan! The Broadway Spotlight Club package includes premium seating in Price Live 1 for all Package A shows, pre-show receptions, pre-order cocktails ready and waiting for you at intermission, post-show cast parties, private backstage tours and your name listed in the Broadway program. A portion of the price is a tax-deductible gift to the Historic Tennessee Theatre.